Busch Gardens Tampa Bay has made an important announcement... the park is returning to its roots by offering guests two free seven-ounce beers during visits to the park. The theme park also announced the introduction of a Busch Gardens Brew Club program and a new Bier Fest to take place later this year. 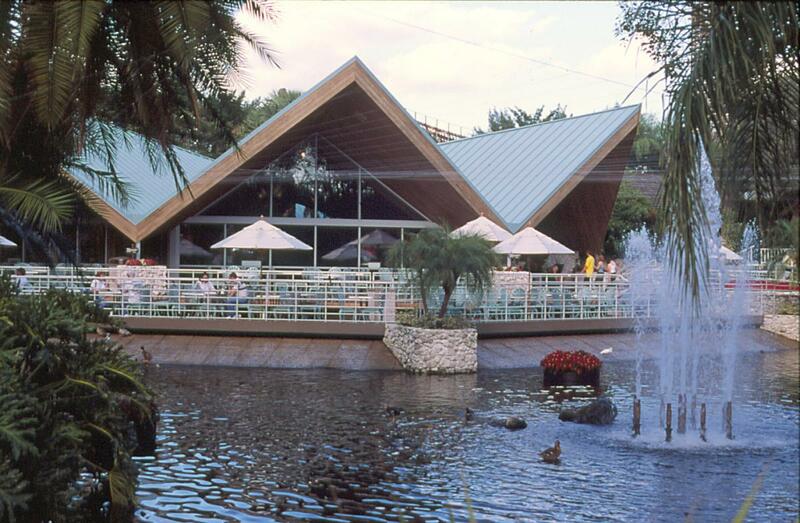 Guests at Busch Gardens can stop by the newly named Garden Gate Cafe to receive their complimentary beers. The free cups of beer were a popular tradition at the theme park's Hospitality House before they were discontinued several years ago. (A historical photo of the Hospitality House is at the front of this article.) Busch Gardens will rotate beers every two weeks, starting May 1 with Corona in celebration of Cinco de Mayo. Other beers on the schedule include Bud Light, Founders All Day IPA, M.I.A. 305, Miller Light, Shock Top, and Tampa's Yuengling. (You know you'll be getting fresh beer there... you can see the Busch Gardens roller coasters from Yuengling's Tampa brewery.) The two cups of beer are included in the price of park admission. 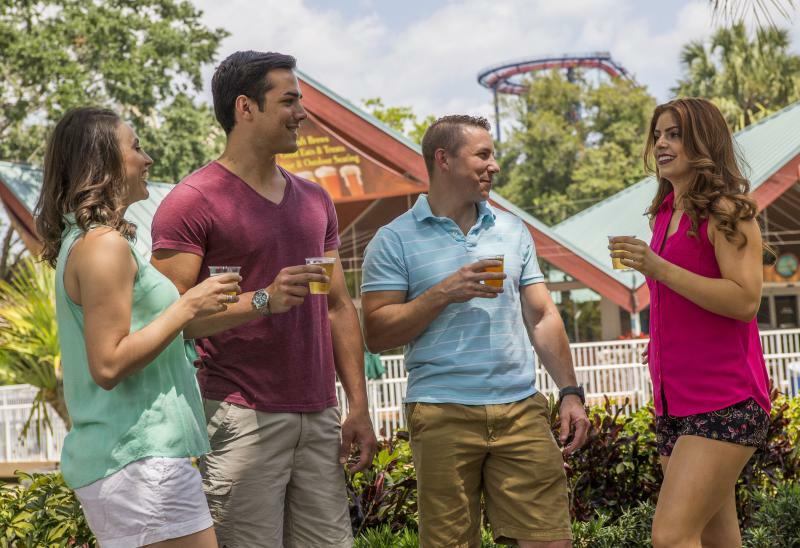 While #BEERISBACK with free samples through August 5, Busch Gardens is also recognizing Tampa's beer culture by creating the Busch Gardens Brew Club. For $79, you can get a personalized beer stein that will be displayed at the park during the membership and $5 refills on over 20 different beers. Check out more information at the Busch Gardens Brew Club website to join! Busch Gardens also announced a new signature event with the all-new Bier Fest, every weekend from August 25 to September 16. The four-weekend event will bring you the best of Oktoberfest, with the beer, German cuisine, and German music combining with Tampa Bay area's craft beer culture. The best part? Bier Fest is included with regular park admission! If you can't wait until August, the Tampa Bay area has some incredible German restaurants like Mr Dunderbak's and Hofbrauhaus St. Petersburg. Other huge annual Oktoberfest celebrations take place at Tampa Bay Downs and Curtis Hixon Waterfront Park. Want to know all the latest about Tampa's beer and festival scenes? Stay plugged in at 813area.com for all the events, things to do and restaurant updates around Tampa Bay! Register for a free account today! Photos courtesy of Busch Gardens Tampa Bay.